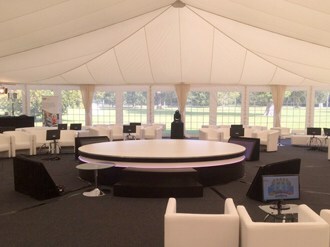 If you are looking for a suitable venue to host a meeting for your corporate team, a marquee provides the perfect answer. Whatever your requirements, we have it covered – from corporate hospitality and catering to luxury facilities – we can help you deliver a premium quality event to the standard your clients expect. 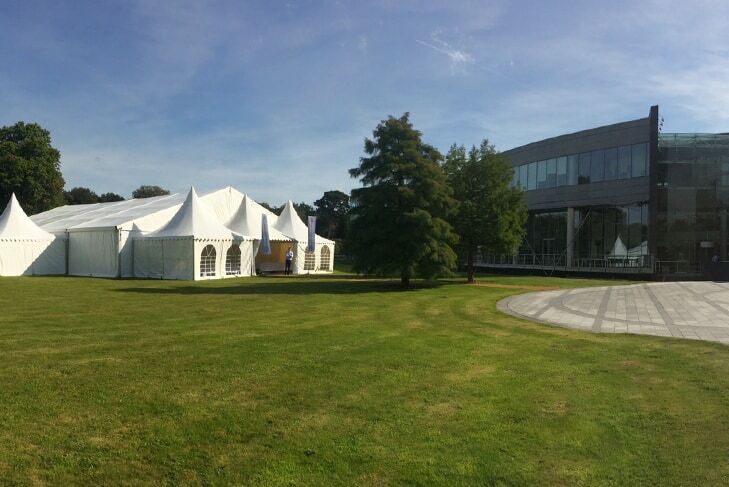 Inside Outside understand the importance of delivering on time and to plan and have a track record of setting up high specification marquees with military precision. 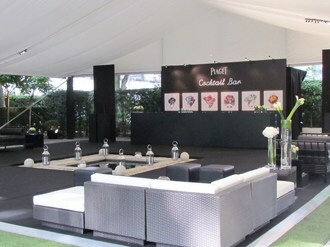 We are well versed in health, safety and security practices to make sure your venue meets all the necessary standards. We can manage your power supply and other essential facilities such as washrooms and heating or covered walkways, so that you can focus on delivering the content of your event whilst we take care of the rest. 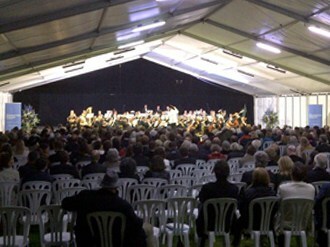 Good communication and planning are essential to the success of an event. We work as a part of your team taking care of as little or as much as you need. Our staff are organised, punctual, courteous and respectful of the importance of your event and will work to the same high standards as your business to ensure a smooth delivery.